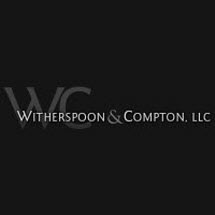 Witherspoon & Compton, LLC is the oldest law firm in Meridian. Our attorneys have been serving the needs of clients in east central Mississippi since 1956 in such areas as personal injury, estate planning and criminal defense. The lawyers at our firm come from extremely diverse backgrounds, which allows us to bring a unique perspective and team approach to every case we accept. By collaborating on your case, our law firm is able to provide a level of service that is hard to beat. With every client we serve, our attorneys' only goal is to reach the best possible outcome for your situation. If you have been injured in a car accident, our personal injury lawyers will pursue every available option in an effort to secure full and fair compensation from the negligent parties. If you need help with an estate plan or you are facing charges for a DUI, we have the experience and the skill to protect your interests at every step. Our clients appreciate the level of service they receive from everyone at our firm. Our longevity proves we can be trusted as your legal team over the long term. We have been here to serve your parents and grandparents, and we will be here to serve your children and grandchildren. You will work directly with your attorney in every aspect of your case, and we do everything we can to be available to speak with you personally when questions or concerns arise. If, for any reason, we are not available when you call, you have our promise to follow up with you at our first opportunity. Contact our office today to learn more about our legal services and how we can help you. You can reach us by phone at 601-207-0333 or toll free at 800-549-1579.